Javik Crop Care is the trade name in the market for Organic Pesticide Manufacture, supply and export. 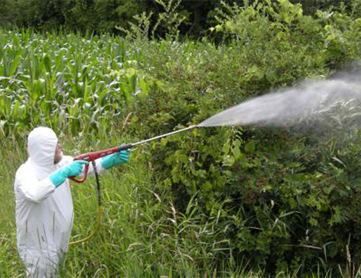 We hold the proficiency in offering the Organic Pesticide that we derived from the natural sources. As a responsible exporter, supplier and manufacturer of various types if high quality organic pesticides, we ensure that all the products offered meet the accurate needs of the customers proficiently. We are manufacturing these pesticides that have the lowest adverse environmental effects. We are using the natural ingredients and environmental friendly chemicals in preparing the products like Botanical Pesticides, Herbal Insect Repellent etc. which are offered under this category. Use of these organic pesticides keeps the crop and plant completely safe from different harmful insects. Further these organic pesticides possess outstanding ability to mix with the soil and the plant easily and show immediate with the quality results. Our pesticides are easily available in the market with the most affordable price. The Organic pesticides even work against the fungi, nematodes, insects, pests and other organisms for protecting the crops. We derive the pesticide from bacteria, plants, animal and various other natural minerals like baking soda and canola oil.